How to receive a form from the client so I know what they have filled out once they have submitted it. I'm not sure on the setup procedure, and also what the best avenue to take here is with regards to viewing a form the client has submitted, so would like to ask for your advice. My question is how do I find out what the entry form is they have chosen? 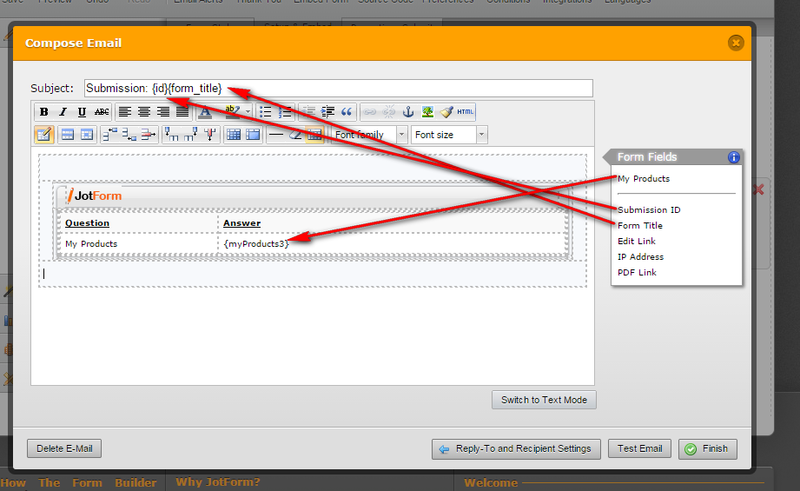 c) Also is it possible with Jotform, is to redirect the client back from the payment page now they have made payment for the service, to my site and the same entry form page as before, so as they can check the boxes they want and then submit it so I can see what they have filled out and the service they require. My question is: Can the same "entry form" be submitted a second time, meaning have two submission buttons which go to different places? and if so where to? and what do I need to do, and go to, find out what they have submitted? *Also please note there are 4 different entry forms. Any suggestions, or ways in which you think I may be able to improve how this is done is also much appreciated. Ps. Sorry at present my site is still under construction so am unable to provide you with a look at the page. I'm not sure if I understood you correctly. It would help us if you can give us which of your forms are entry and which are the 2nd part of it? And how the process will look like using those forms. I'm thinking that you want the submissions to be directed to specific people or specific pages? You can check the tutorial or guide link here Smart Forms using Conditions Logic, to see how to use conditions to make your form smarter. I believe the "Email Alerts" setting should notify you what fields are filled out? 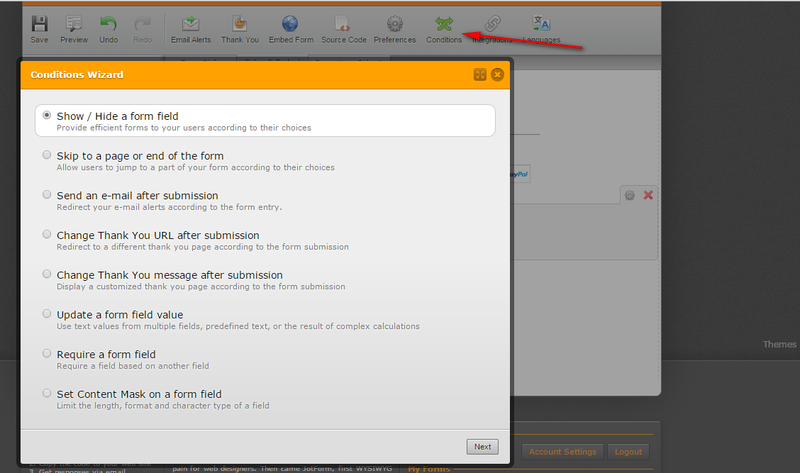 You can also customize the title submission with the fields to easily categorize the form entries. "Change Thank You URL after Submission"- redirect your users after the submission, you can have a custom URL or a page in your website. I hope this helps or gives you an idea. We'll wait for your response if you need further assistance on this. Yes, correct about the forms being directed to specific pages. I've got 4 forms on site which explain about each product give the price, which takes up the top half of the page, then directly underneath the prices part is the submit button ( which I've named purchase) so when they click on it takes them to the payment form which has the prices for the whole 4 forms(ie entry forms). From that once they have chosen their product, and paid for it, and then clicked submitted, I've chosen to elect "thankyou Url " after submission, so as they can be redirected back to the same (entry form and then fill in the bottom half this time which has their date of birth and time and place etc (B/c it's an astrology form they need to give their details on) and then last at the bottom of the page is another button (which I've kept labelled as default "submission" which when they go to the thank you page, I want to choose thanks to your help the "email alerts" so as I can receive an email with the forms filled out, and give them a response at the same time saying they will get their report in a few days etc * Please note I've set up an autoresponder with Smtp. Will that do the job do you think? 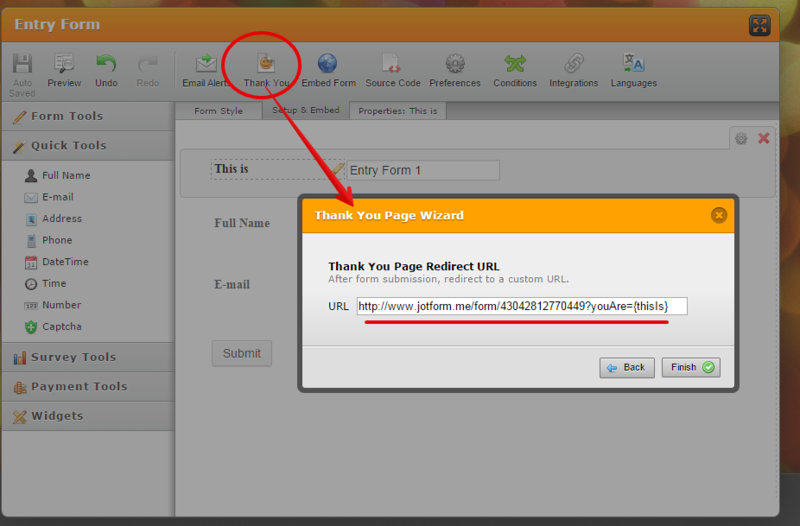 Also thanks for the tip on "customize the title submission with the fields". I looked at the form fields previously a few times but wasn't sure what they mean't, or how to use them, so thanks again for that as well. I'll keep an eye out for your reply and much appreciated for your assistance. May I inquire if there were at least 5 forms involved? The 4 Entry forms + 1 Payment form. I am trying to understand the process, and so far I got it like this. 2. After submission of Entry form, it redirects to the Payment form. Now, the problem you are having is you wanted to determine which Entry form was used. You can determine the name/id of the Entry form within the Payment form also..
that is by passing URL parameter value from Entry form to the Payment form. Hope this help. Inform us if you need further assistance on this.